Copyright 2009 SVJ Designs, LLC. All Rights Reserved. 11700 N. Port Washington Rd. 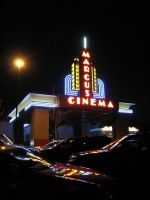 This movie theater is near Mequon, Thiensville, Glendale, Bayside, River Hills, Fox Point, Whitefish Bay, Milwaukee, Brown Deer, Grafton, Cedarburg.